Its hard to say exactly what Il Cane Rosso. Its a mix of Italian, American, sandwiches, and basically, carnage. Although, I think one word best describes this place: hearty. All the dishes here let you walk away pretty satisfied and fulfilled. The menu changes daily as well as for breakfast and lunch. This place is one of the more popular spots in the SF Ferry Building (even though its hidden in the corner), so the lines do get quite long and the dishes sell out quickly throughout the day. Beef stew. First of all, this does not come with bread. You have to order it separately, which I recommend. What's a beef stew without bread? Also, its Acme bread (my favorite). 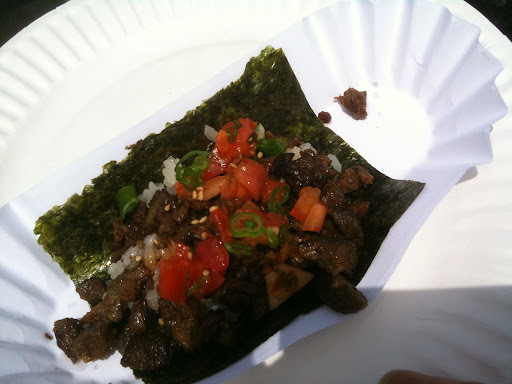 When this dish came out, I was expecting more of a chunky meat version versus their grounded beef take on beef stew. Nevertheless, the stew is quite delicious. Very comforting and homey. The warm egg salad sandwich is another popular dish at Il Cane Rosso. Its a simple dish of basic egg salad served on an open faced toasted bread. Its put in the oven after prepping for a couple minutes to heat up the egg salad. 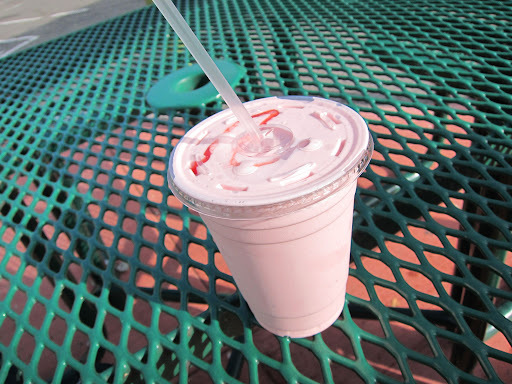 This winter has been unseasonably warm so its been almost refreshing to eat something cold. Cream is located in the old Mrs Field's location on Telegraph in Berkeley. You can mix and match your favorite cookie and ice cream then they smoosh it together to make you an ice cream sandwich. You can even choose two different cookies or even multiple cookies for a layered ice cream sandwich! Also, its only $2 each! Sugar cookie with salted caramel ice cream. One of the best things about these sandwiches is the cookies are WARM, but it makes it a little tricky to eat. The ice cream melts pretty quickly so be warned and chomp it fast! I was hoping for a salted caramel flavor similar to my favorite at Bi Rite, but this one lacked the saltiness that gives the flavor its bite. Chocolate chip cookie with mint chocolate chip ice cream sandwich. You can't go wrong with a classic. This flavor combination is one of the most popular choices here. 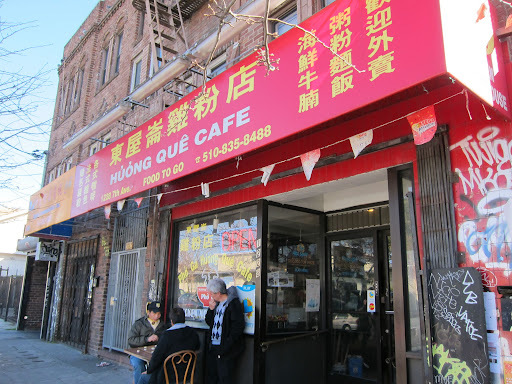 I had heard Huong Que Cafe's Chicken Pho was better than Turtle Tower in San Francisco. I had to see for myself. The menu for Huong Que Cafe is set up very similar to Turtle Tower - simple with mostly chicken items on the menu. 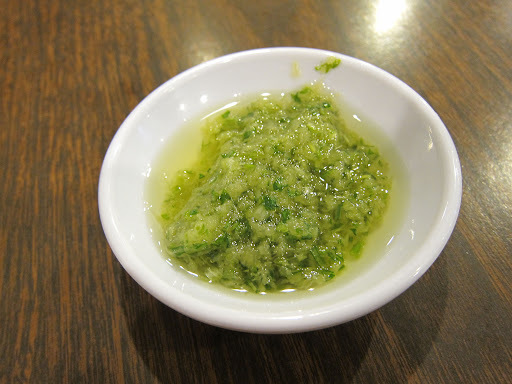 Huong Que Cafe gives you a sauce made from ginger, and green onions to dip your chicken in. It's probably one of the things they are known for here. Honestly, I didn't find anything fascinating about it. I grew up with a similar sauce for chicken dishes. The ginger-scallion sauce does give you a nice option to dip the chicken in. The salty flavor of the sauce gives the lightly tasting chicken some spice. 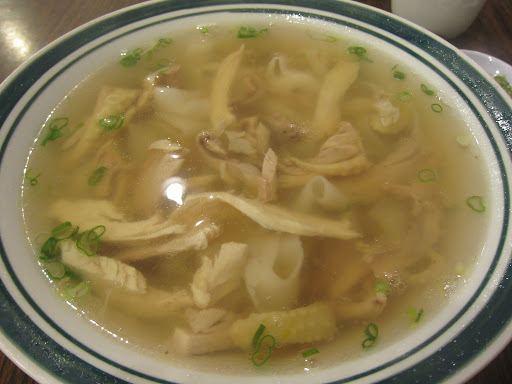 You can make this at home by finely mincing up ginger and green onions, a little salt, and then pouring hot oil on top. House made jalapenos! 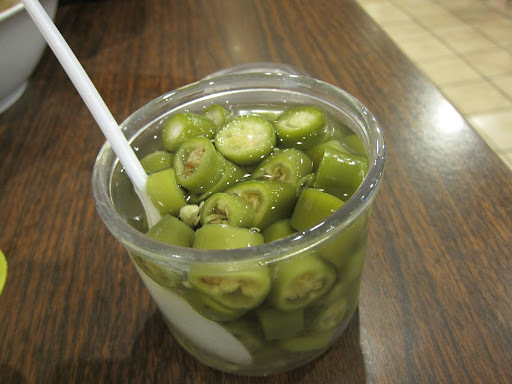 I thought these lightly pickled jalapenos were so delicious. Even though they were stored in their own juices, each piece remained crunchy and spicy. Chocolate + candy cane. I'm not a huge fan of candy canes. Halfway through, I usually get tired of them. It's like a mint overload. I had some doubts buying these, but decided to be festive anyways. 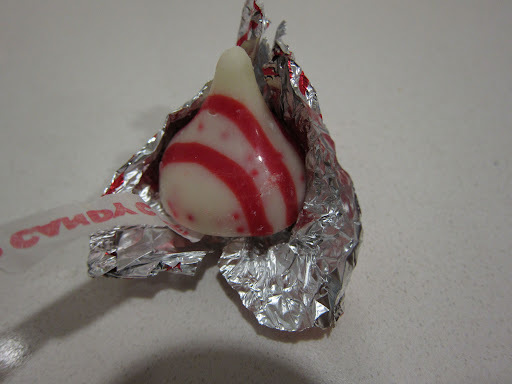 These Christmas kisses had the perfect ratio of chocolate and mint. 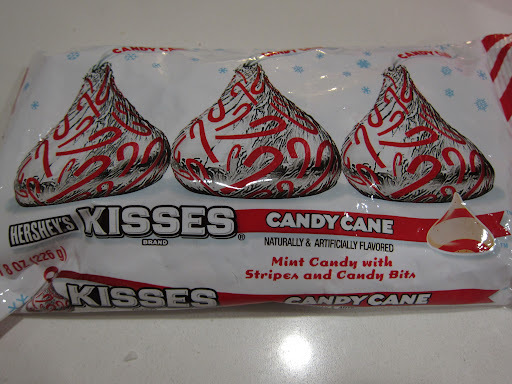 One thing to note is that it's actually white chocolate, so it is a little sweeter than the normal kisses. When you bite into one, tiny candy candy pieces explode minty flavors. It's Christmas in your mouth. 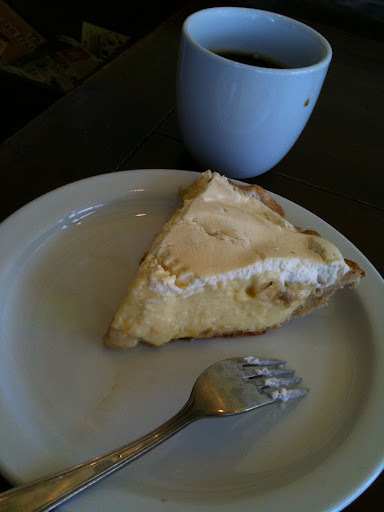 As I've gotten older, I really grown to love banana cream pie. Mushy and sweet bananas all wrapped up in fluffy, smooth cream with a buttery flakey crust. Its always nice to try something different than the usual tacos, and burritos. Huraches are a flat oval tortilla stuffed with refried beans. This is my first time having hurache so I don't have much to compare it with. I made a special trip to the Alemany Farmers Market (Saturday AM) just to taste one. I chose the cactus (nopales). The texture of the tortilla is kinda doughy and slightly chewy. Its topped with jalapenos, diced bits of cactus, cheese, and cilantro. Tasty, spicy, tangy, and full of flavor! Mmm..tamales...little packages of yummy goodness. Unfortunately for me, I don't have anyone to make these babies fresh for me anymore so I've had to resort to buying them. The worst is buying them, only to unwrap them and find that they are either too dry or the meat/filling to masa ratio is disappointing. All Star Tamales makes an appearance at a couple different Bay Area Farmers markets (Civic Center, Alamany, Walnut Creek, and Oakland) through the week. Also, these tamales are lard free! Red pork tamale. Pork tamales are my benchmark taste test when it comes to tamales. So tender and flavorful! This tamale probably has the most amount of filling I've ever had in a tamale - super plus! It comes with two sauces, but the shredded pork is so flavorful that the sauce is unnecessary. Tip - If you buy them in cold and in bulk, it's cheaper. Lucca is in the heart of the Marina district. Its a small Italian deli where you can pick up sandwiches or Italian goodies. This place is always crowded. Make sure you walk to the middle of the counter and pick up a number to place your order. Plan to wait at least 15 minutes from walking in to sandwich in hand. 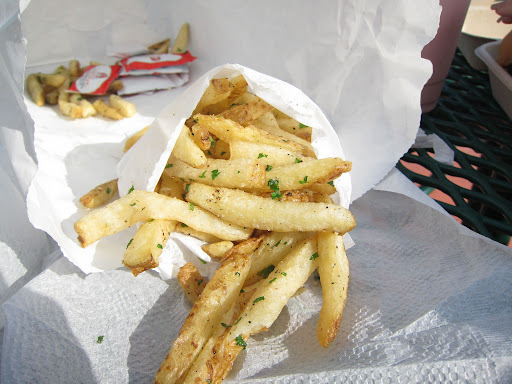 The potato salad is served by the pound and one of the more popular side dishes here. The potatoes in this salad are sliced versus the usual cubed or chunk potatoes. It gives it a nice smooth, creamy texture, but still makes you feel like you are eating potatoes. A very light tasting potato salad with a hint of tangy, vinegary taste. The homemade ravioli are filled with beef and spinach. So good! You can customize your sandwich, but the #1 is the most popular sandwich here. Its an Italian sub with lots of meat between two slices of bread. Everything includes ham, salami, mortadella, provolone, tomato, lettuce, Italian peppers, mayo and mustard. I had it on dutch crunch, but the dutch crunch was as crunchy on top as I'm used to. 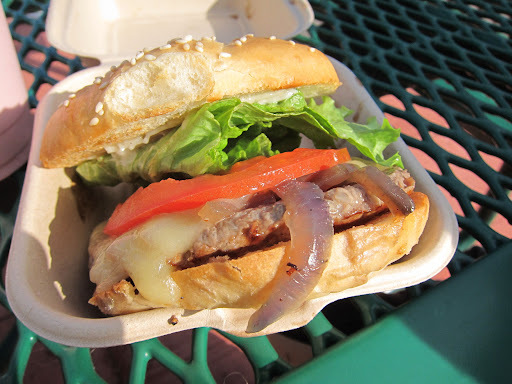 Nestled right in the heart of the Lake Merritt area of Oakland is this retro burger spot. It has the most random menu items - from enchiladas to fried chicken. 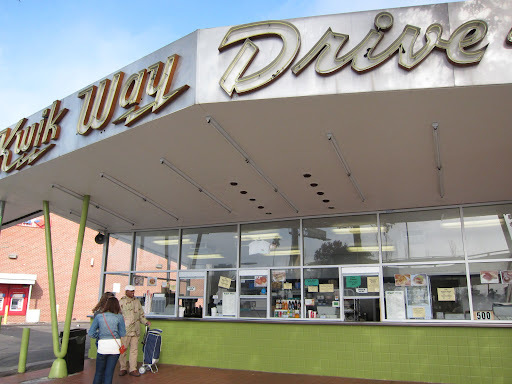 Kwik Way is supposedly known for their milkshakes. I'm not even sure if they use real ice cream (highly doubtful). Although it tastes pretty good compared to the rest of the food, you can tell from the picture its a syrup. 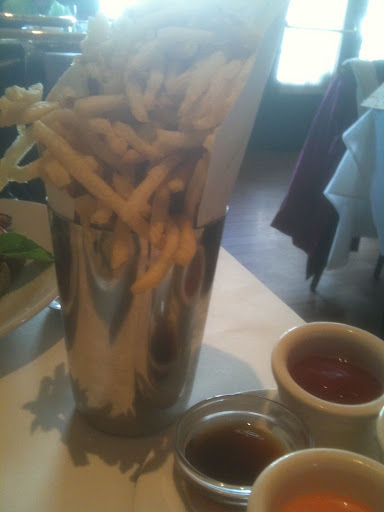 Nothing special about the fries here. I think its sprinkled with parsley and has a slight garlic flavor, possibly from a garlic salt or powder. 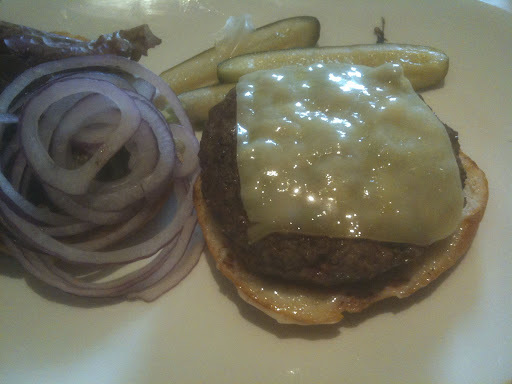 This burger is really unusual for a couple differerent reasons: the patty is seasoned like gyro meat and the cheeseburger comes with white cheddar. Really odd and doesn't really seem to work well.